Outstanding grey filly with lovely movement and a look-at-me attitude. We are excited to see how she will mature. She is retained at this time. 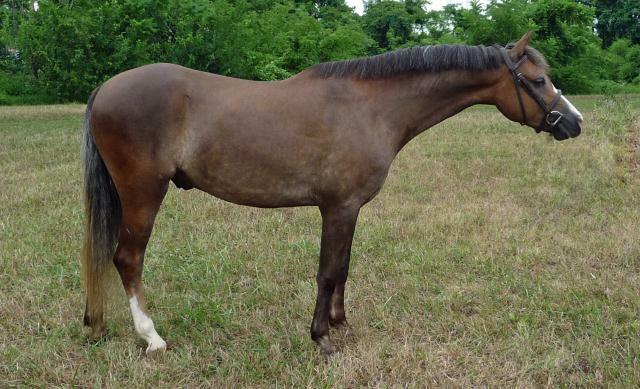 This is a really nice big colt that is very fancy with outstanding hunter movement. He is extremely friendly and loves any attention he can get. He is also very sensible like his mom, with a trainable temperment. 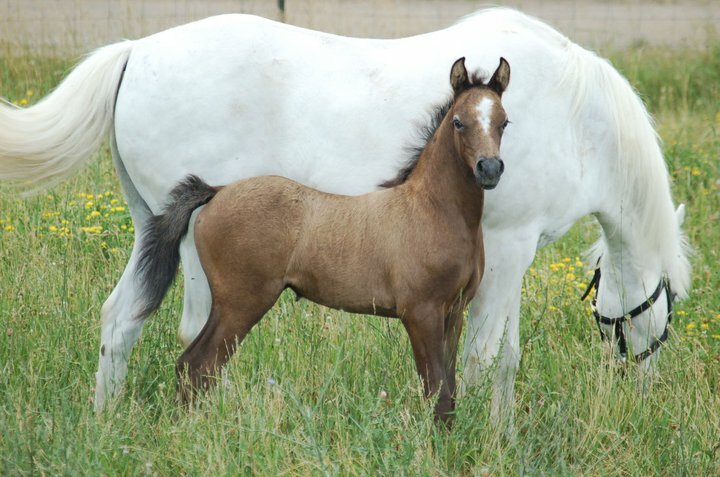 His mother is a daughter of Gayfield's Vida Blue and out of a Farnley-bred mare, and his sire is by Ledinjadon Tuxedo out of a *Carolina's Red Fox mare. 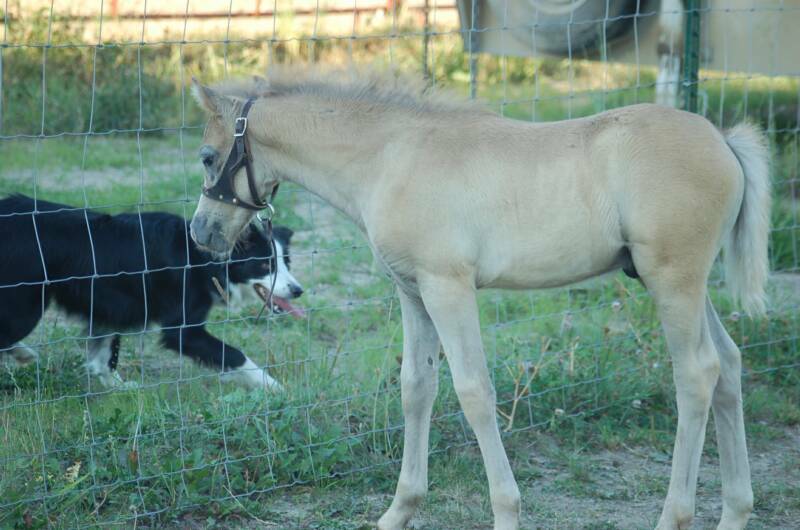 He will most likely be shown on the hunter breeding circuit next year if he is still here. We expect that he will do very well on the line and in the performance arena. Should mature to be a big medium. 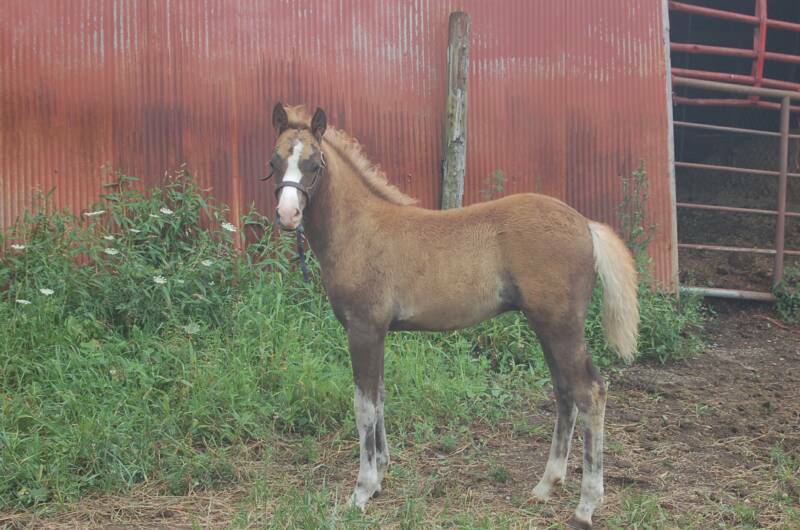 This is colt has 3 crosses to Findeln Blue Danube, and he has Cloe Olympian, Hidden Creek's Rain Fox, and Gayfield's Vida Blue up close in his pedigree. He is bred to be the absolute best. His pedigree reads like a who's who of hunter breeding. We have no plans to geld him at this time as he does carry very valuable breeding and is an exceptional individual himself. He is very sensible and is child-friendly already. He loves attention and is sensitive and sweet. 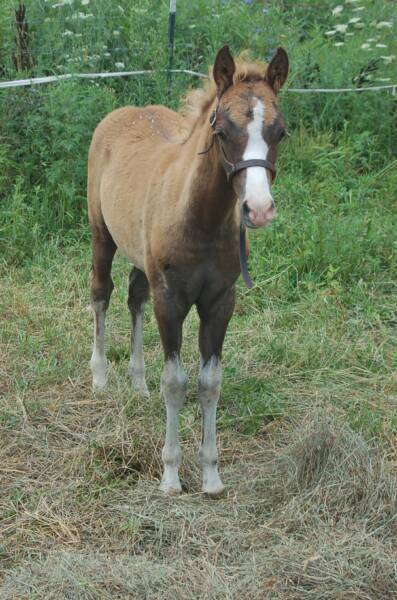 This cute chestnut filly is everything we hoped for and more. 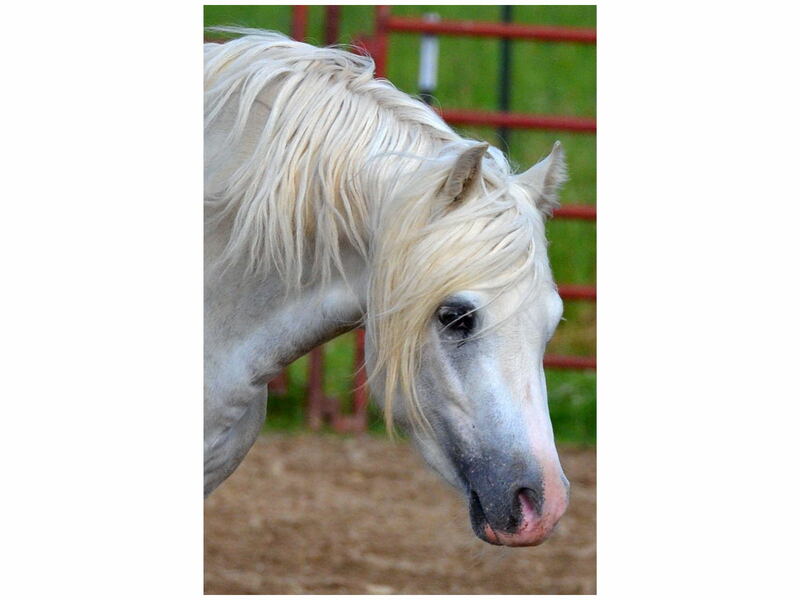 She is the cross between a lovely old Vida Blue daughter with a gorgeous imported stallion owned by the Clardy's. 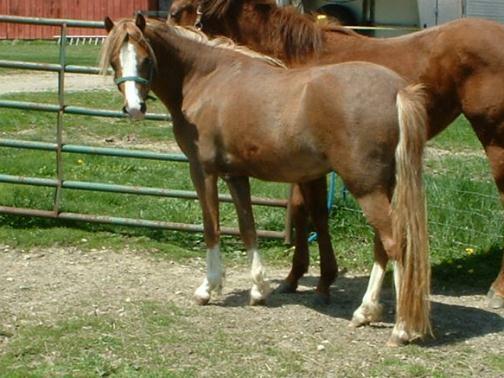 She is truly a beauty, with a classic welsh head, tipped ears, and a kind eye. She has her mother's wonderful disposition, and loves all the attention she can get. She is very sensible and sweet, and takes to new things very well.